The symptoms of disc herniation are extremely painful and every week the clinic receives many enquiries about this condition. Nowadays, many people are referred to us by their G.P. or neurosurgeon and indeed many doctors working in demanding situations themselves seek us out for treatment both for themselves and their families. People need help, but are uncertain whether this is a problem which a chiropractor can treat successfully. About 60% or more of our patients come suffering from disc symptoms and we have an excellent success rate, the great majority of our patients getting better without the need for surgery. The twenty four vertebrae of the spinal column are separated by cartilaginous discs. These have a sort of fibrous coat on the outside and a gelatinous interior. Their function is to absorb shock during movement, but they are subject to injury, wear and tear. Monotonous or strenuous of work can increase the likelihood of damaging the discs. When the external coat is damaged, the gelatinous inside pushes out forming the hernia, irritating the nerves serving the legs. The hernias can cause pain when the spinal canal is narrow or when the hernia itself is very large and touches one of the spinal nerves on it-s way to the leg or buttock muscles. When the pain is felt in the back of the leg, the classic symptom called sciatica is diagnosed. Coughing, sneezing and evacuating the bowel can increase the pain. Nowadays, most back care specialists, including orthopaedic specialists and neurosurgeons agree that it is best to give a course of chiropractic treatments a try, before considering back surgery. Only a very small percentage of patients need to resort to surgery and we, as chiropractors have the training and experience to understand your signs and symptoms that would indicate the necessity for surgery. The exact course of chiropractic treatment is carefully designed for each patient according to the results of the physical examination and the findings from the patient’s case history. We do not always do the classical chiropractic manipulations on all patients, as we have different techniques according to the patients age, condition and general state of health. We have 20 years of experience treating patients of all ages, from the newborn to the senior citizen, and from competitive sportsmen to the completely inactive or sedentary patient. 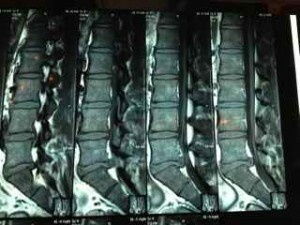 Adjustments do not usually hurt, although some patients report slight pain lasting a few seconds during the adjustment. This is usually at the start of treatment when the patient is tense and already in pain. Some irritation may be felt after the first couple of treatments, but this is just the body adjusting to the treatment given and normally lasts no longer than 24 hours. Many patients experience no ill effects at all and report only relief from their symptoms. The path to complete healing is different for each patient, but our patients on average can expect to feel better within 10 days, with at least four treatments during that time. 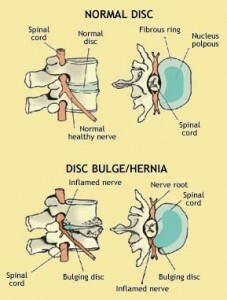 Total treatment numbers for disc herniation, again vary greatly, but usually fall between four and eight treatments. To book an appointment for chiropractic consultation and treatment, please call our clinic at 04-348-1166 or book online.